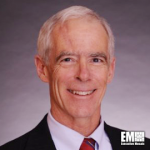 Leo Scanlon, deputy chief information security officer and senior cybersecurity adviser for the healthcare sector at the Department of Health and Human Services, has been named as co-chair of the U.S. government advisory council of nonprofit organization (ISC)2. He will lead the council with Dan Waddell, (ISC)2 managing director for North American operations and director for U.S. government affairs, the nonprofit said Tuesday. The council consists of federal cybersecurity officials who volunteer to offer insight and advice to (ISC)2 on cybersecurity-related government policies, programs and professional certifications. The group also backs the nonprofit’s community outreach programs such as Government Information Security Leadership Awards, U.S. Government Advisory Council Executive Writers Bureau and CyberSecureGov training event. “With Mr. Scanlon’s leadership experience and broad knowledge of U.S. government cybersecurity initiatives, I am confident that this group of experts will provide critical perspectives regarding the evolving needs of the cyber workforce in order to build upon past successes and to clear a path forward for much-needed growth,” said Waddell.